Right to Health is an inclusive and integral right which means that every individual regardless of their age, gender, class, caste, and socio-economic background, should avail of and benefit from the state’s health policies. It means access to timely and affordable healthcare. But access to basic and primary healthcare facilities continues to be a challenge in areas where there is lack of adequate medical facilities and services. 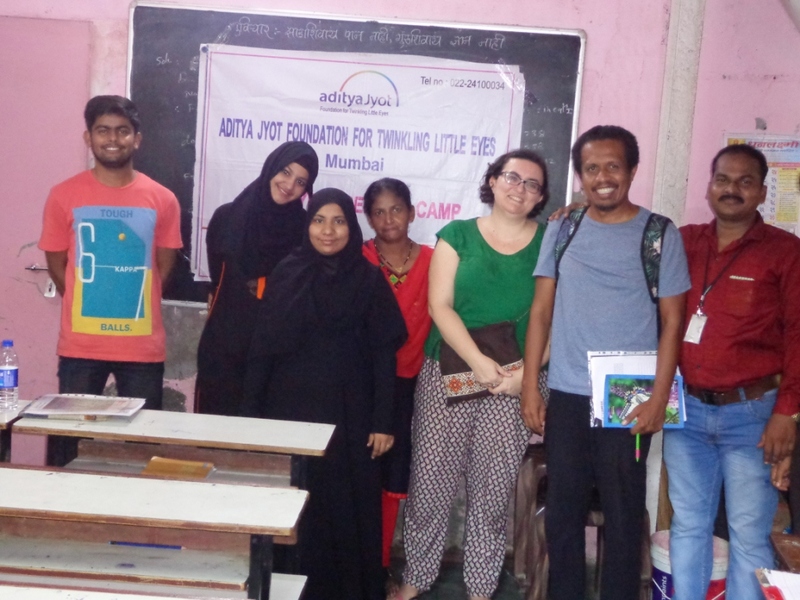 As part of the Community Health Project, we at Mumbai Smiles Foundation recognise the importance of health as basic fundamental Human Right and have collaborated with various healthcare partners, specialists, and organisations in providing access to free healthcare services to people in the local slum communities. 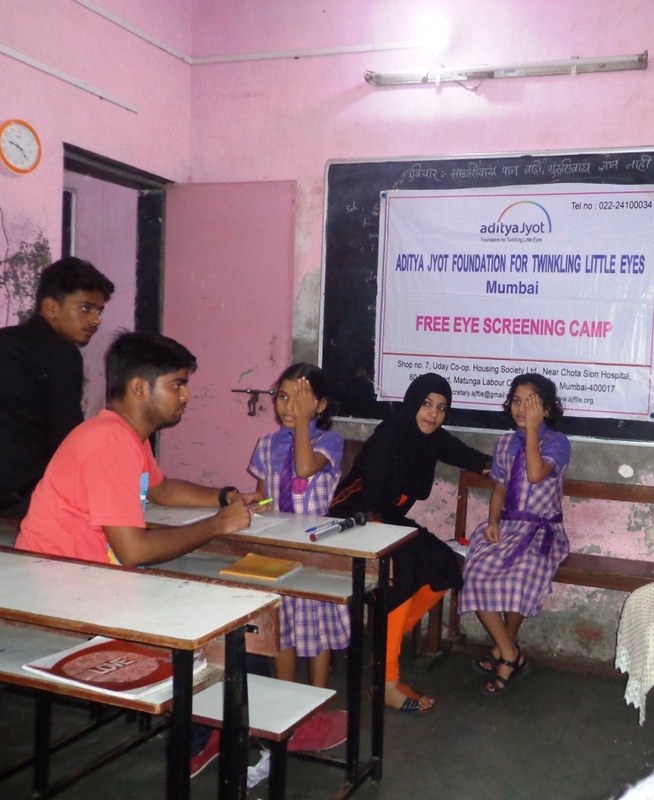 In view of this, a free Eye check-up camp was organised at the Vyanketesh Vidya Niketan High School, Vikhroli Park-site in collaboration with Aditya Jyot Hospital. Eye-related problems occur because of a variety of socio-economic factors and also because of poor environmental conditions and neglect. 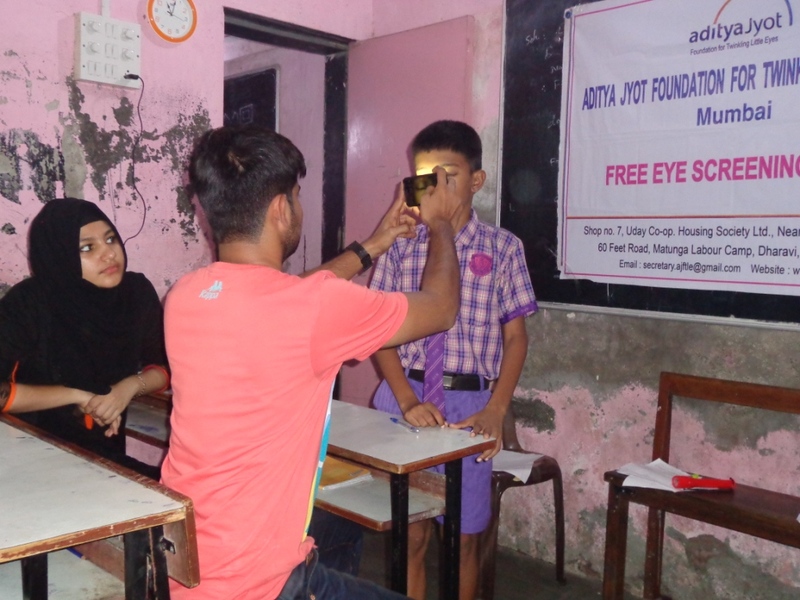 The objective of the camp was to focus on creating awareness about eye disorders and detecting these at a very early stage amongst the school children. Furthermore, it was to build capacity by encouraging them to get themselves medically checked for any signs or symptoms related to eye-disorders. A total of 270 children were screened out of which 37 children were identified to have eye-related problems. The reports of these 37 identified candidates are out for processing and would be updated to them very soon. We thank our partners, supporters, and the organizations for creating a strong collaborative framework and a vision to help and protect these kids from eye-related disorders. Previous PostCelebrate Diwali with Mumbai Smiles – Donate Now! Next PostFirst Response to Emotional Gifts 2017! !